Our Ischia hotel is situated in a typical Mediterranean villa, located in the Bagnitiello area in Casamicciola Terme, the thermal municipality par excellence. Legend has it that “Nisula” an old eubea lady with a wounded leg, unable to flee an enemy attack decided to stay here and not continue running, whereby the power of the thermal waters healed her. Since the era of the legend of Nisula, with the different dominions over the Island up to the Bourbons, the name of the town has gradually transformed from Casa di Nizzola into the current name: Casamicciola. In 1954, by official decree, the suffix Terme was added. An act that has sealed in time the vocation of the town. Hotel Gemma is just a few minutes by bus from the town of Ischia. The “capital” municipality is the vital centre of a large part of the island. It is easy to walk through the streets for some shopping or just to stretch your legs in a cosy, cheerful atmosphere that is very evocative. Hotel Gemma is located near the bus stop! The EAV bus line is located right at the entrance of the Ischia hotel. The efficient public bus service connects the hotel to the main tourist centres. The number of routes and frequency of buses allows you to comfortably organise your travels. Choose Hotel Gemma and you will be able to easily move around the island in comfort from our Ischia hotel thanks to the bus service. Hotel Gemma is in partnership with Ischia Diving. 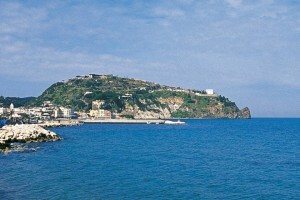 The nearest airport to Ischia is Naples Capodichino. From there you can reach Beverello pier by taxi or via the Alibus bus that stops a few meters from the port of Naples; tickets can be purchased on board. To get to the other Naples port in Mergellina, you will need to change buses at the Alibus terminal. The most important station in Naples is in Piazza Garibaldi. The latter is the most convenient for embarking from the port of Naples. Mergellina station is smaller and not all trains stop there. It is, however, close to Mergellina port from which only hydrofoils depart. The Naples Central Station is about 3 km from the port of Naples, which offers continuous maritime connections with Ischia: ferries and hydrofoils. There are several bus lines that connect the station and the port: the bus station is a hundred metres from the station. Bus R2 – which stops a hundred meters from the port, in Piazza Municipio. If want to reach the boarding of Mergellina Port from the Central Railway Station of Naples you can use the subway which is located within the Central Station. To use the taxi service, proceed outside the station where they are parked. You should ask the driver to apply the default rate for the Port of Naples, which is approximately 10 Euros. From the motorway you can reach the ports of Naples and Pozzuoli, where boarding transport is simple. To reach the port of Naples: from the motorway you have to take the Tier Expy A1 towards “Napoli – Porto” and, after covering a stretch of Via Marina, enter the Calata di Massa pass. To reach the port of Pozzuoli: from the motorway exit of Naples continue for about 12 km and enter the ring road towards Pozzuoli, follow the entire motorway and take the first exit after “Via Campana”, then follow the signs to the port. For those who drive, the car ferries depart from Calata di Massa in the port of Naples or Pozzuoli. The hydrofoils are fast connections – however they only carry passengers – leaving from the port of Naples – Beverello pier and Mergellina port. Hydrofoils arrive in the port of Ischia, Casamicciola and Forio. The most frequent fast connections arrive in Ischia port. Hydrofoil tickets cost around twenty Euros. The ferry companies are: Caremar, Alilauro, Medmar, Snav. Arrive in comfort directly at our hotel. Hotel Gemma organises personalised transfers to and from the airport and the train station in Naples.